Semi-solid baby food to go: double-walled, stainless steel thermos flask 'Mouse' keeps baby food ready-to-eat when you are out and about. 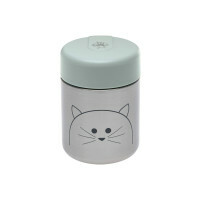 The stainless steel flask keeps food hot or cold, is leak-proof and easy to fill. 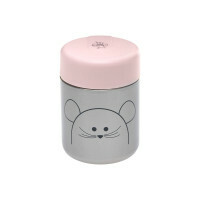 Product information "Food Jar, Little Chums Mouse"